It's been a pretty incredible last few months of 2016 for Philip Meersman. The senior center back converted the decisive shot from the spot as Elkhorn tipped Oregon 4-3 on penalties in a WIAA Division 2 sectional final to earn its second state tournament berth, where the Elks claimed their first trophy with a runner-up finish. He also was named to the second team of the All-Southern Lakes Conference team for his efforts on the Elkhorn backline during the high school season last fall, but his biggest honor recognizes his work in another part of the game. Meersman recently was named the U.S. Youth Soccer Region II Young Referee of the Year. He is one of four finalists for the national award, which will be announced at the U.S. Youth Soccer Awards Gala on Jan. 13 in Los Angeles. A resident of Delavan, Meersman has officiated matches in the Wisconsin State Championships, the Midwest Regional League and at the Region II Olympic Development Program's annual camp. Off the field, he was invited to participate in the Stanford University High School Summer College program – he earned eight college credits last summer before starting his senior year at Elkhorn. Meersman is following in his father's footsteps as a referee: Jonathan Meersman is the Region II Referee Director for U.S. 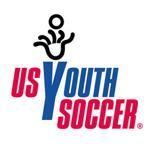 Youth Soccer and is a national instructor for the U.S. Soccer Federation's National Referee Program.